Group exhibition: Artist Residency in Parenthood at 107 Projects Gallery Sydney. Untitled #1 Pregnancy (2014) included in 25 JAHRE KÜNSTLERHAUS AM ACKER! 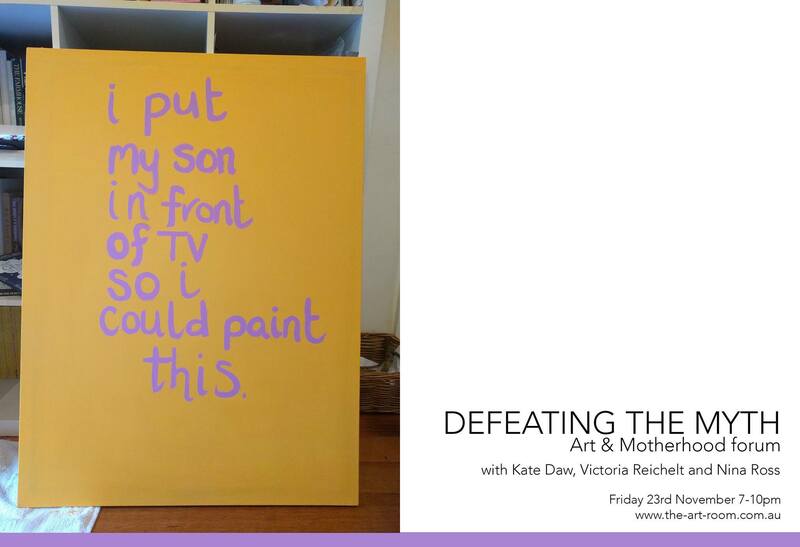 I am thrilled to announce I have been invited to speak at Defeating the Myth: Art & Motherhood Forum on Friday 23rd November 7-10pm, hosted by The Art Room. I’m honoured to be included in the discussion with fellow artists Kate Daw and Victoria Reichelt. Many thanks to the excellent work of the hosts, artists and mothers Erika Gofton and Ilona Nelson. For more information please visit The Art Room.